1. Bamboo palms: Unrelated to true bamboos, these plants are excellent at improving air quality. They remove formaldehyde and act as a natural humidifier. 2. Snake Plant: Another excellent choice, especially for darker corners, this hardy plant is commonly called the mother-in-law’s tongue because of its sharpness. 3. Areca Palm (Golden Cane): Not only do these palms look great, NASA found that they are one of the best air purifying plants for general air cleanliness. 4. Spider Plant: A great indoor plant for removing carbon monoxide and impurities. 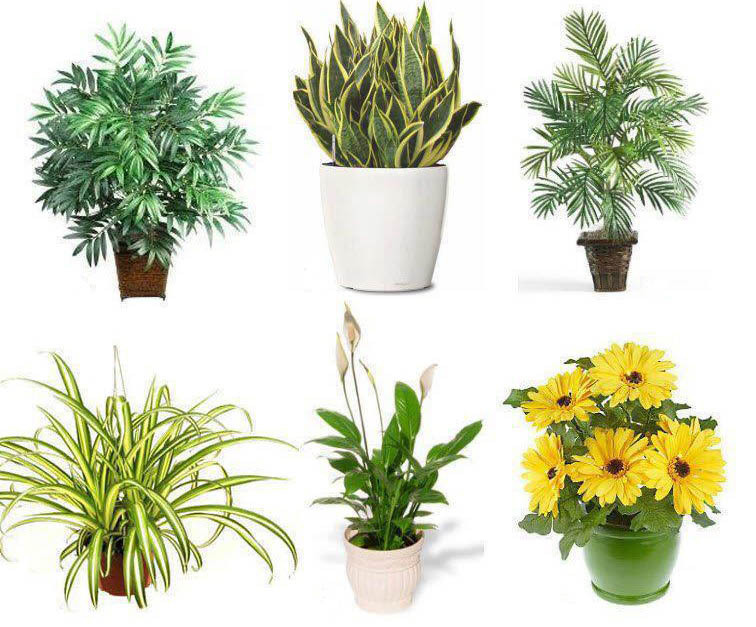 Spider plants are one of three plants NASA deems best at removing formaldehyde. 5. Peace Lily: Peace lilies could be called the ‘clean-all’. They’re perfect for bathrooms or laundry as they’re known for removing airborne mould spores. 6. Gerbera Daisy (for sunny spots): Not only do these flowers remove benzene from the air, they’re known to improve sleep by giving off more oxygen overnight. Other plants that tested well were: Aloe Vera (brilliant for sunburn! ), English Ivy, Heartleaf philodendron, Elephant ear philodendron, Weeping figs, Rubber plants. Plants with heart or oval shaped leaves create a calming vibe, making them an ideal choice for entrances, landings and living areas. As round-leaved plants are said to attract wealth, try placing Jade plants or ‘money trees’ near your front door. Scented plants and herbs such as rosemary will lift the vibe in any home, and as a bonus, rosemary is said to enhance the memory. Fruiting plants like cumquats and oranges are also said to attract good fortune, along with scented, flowering plants like jasmine and gardenias. Bamboo is another popular choice, as it represents strength, longevity and protection; ‘lucky bamboo’ plants make ideal gifts, especially for older people. Pointy-leaved plants such as palms and cactuses will add a masculine energy to your home. This can be useful for livening up quiet corners, but when placed in a prominent position, spiky plants can create a prickly, argumentative energy. Plants are not generally recommended for bedrooms, with the exception being orchids, which represent sensuality and fertility; alternatively, place one in your living area to invite more luck and harmony into your home.